Selina Hostels, founded in 2012, is the first chain of "luxury hostels" in South and Central America. 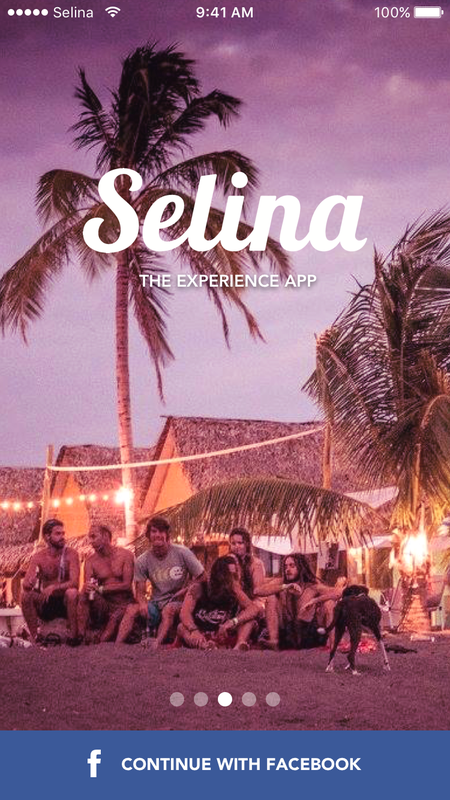 Headquartered in Panama City, Selina seeks to disrupt the hostel hospitality industry in these regions by providing a high-end hostel experience at locations which provide both co-working and "co-playing" spaces. Designed an onboarding experience that would eventually split the iOS app experience into separate and personalized flows depending on user type. In addition, considering the many locations and types of hostels that Selina offers, I designed rotating splash screens that would best represent the array of Selina "personalities" and their values from a marketing standpoint. 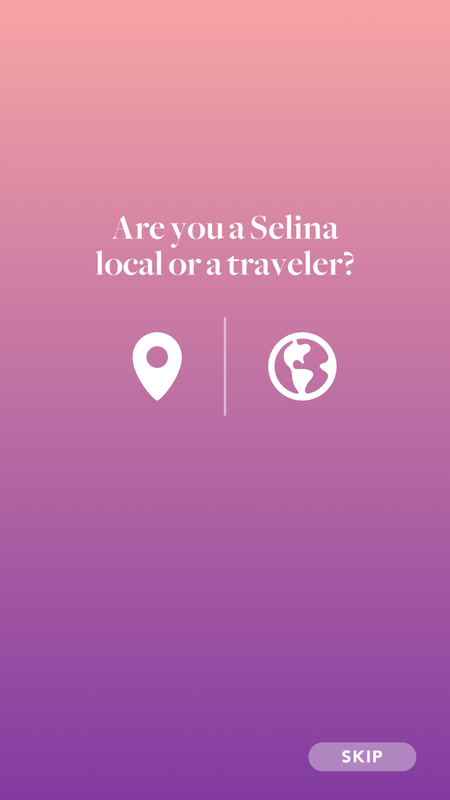 I was chosen out of Gigster's network of 100 designers to fly out to Selina HQ with a Product Manager, working directly with the client, to create several hi-fidelity screens for Selina's MVP iOS app as part of a scoping project. The challenge lied in creating an onboarding experience for a native iOS app, without much any product strategy to start. The entirety of the project was designed and delivered in 3 weeks. 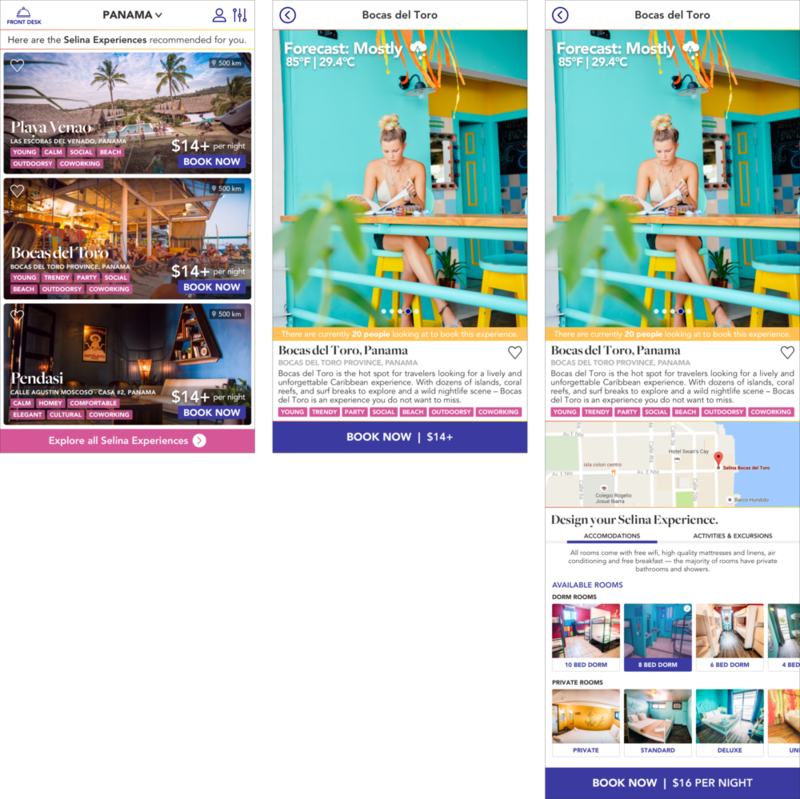 Prior to leaving for Panama, I spent the first week downloading numerous hospitality apps — especially those marketed towards backpackers and frequent travelers. All in all, there was a complete lack of structure for the hostel-based apps, whereas the Virgin Hotels and LoungeBuddy apps both had a clean and modern UI design and an onboarding experience to match. 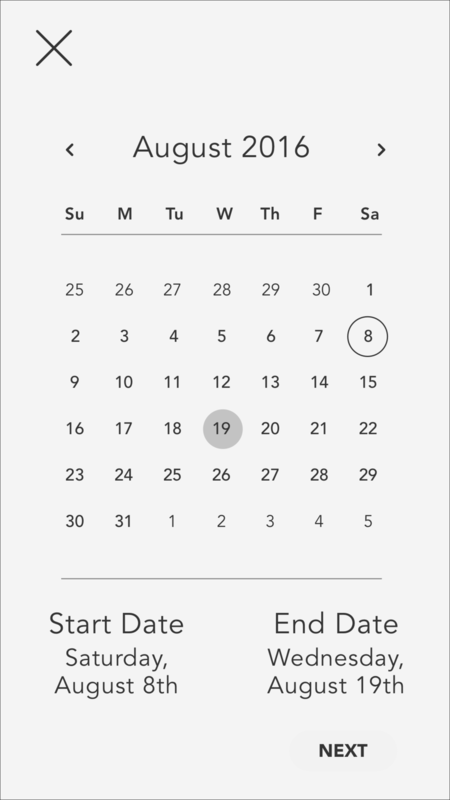 Since I was only designing a small portion of the MVP version of the app, it felt more reasonable to stick to the features we (Dave the PM and I) liked of the LoungeBuddy iOS app. 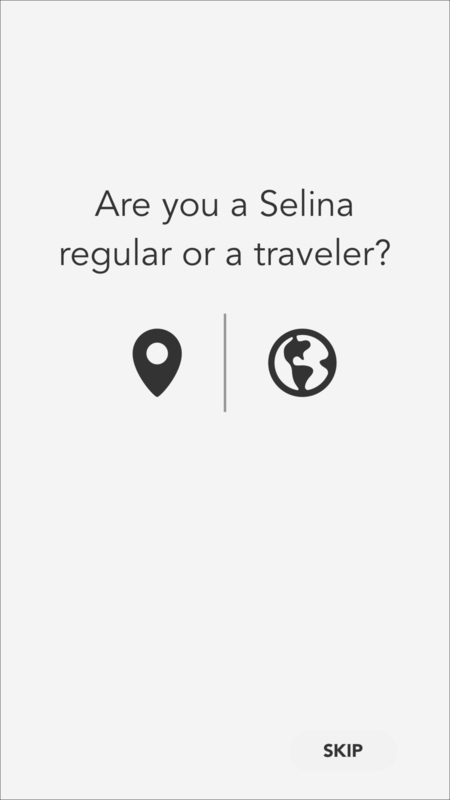 An app like the one Virgin Hotels offers would ideally be something further down the line — once Selina becomes more established. 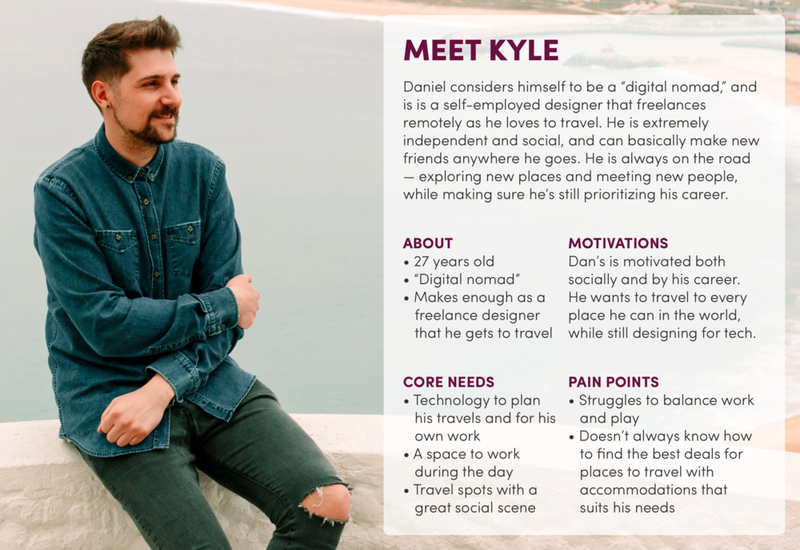 Based on what we knew from Selina’s own market research, and our knowledge of the client's goals, in terms of their desired and target users — I developed two provisional personas, which also drew from assumptions I made from my own personal research of Selina Hostels. 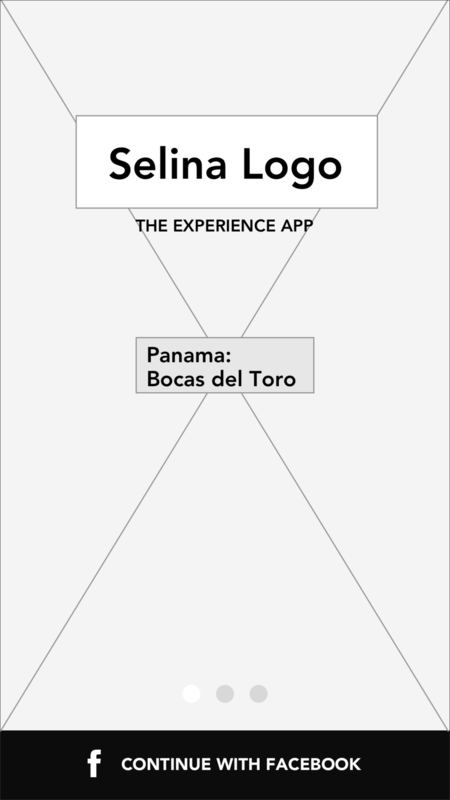 I also decided to venture out on my own in my spare time in Panama to visit the local (non-Selina) hostels, to conduct some simple user research through observation and by asking travelers basic questions regarding their travel habits. With the combined industry trends research on comparable product, in-person user research as well as our knowledge of Selina’s own market research — I created specific job stories that are real life representations of Selina Hostels’ local frequenters and travelers I spoke with. Thereby, helping set the stage for defining the consolidated onboarding user flow. 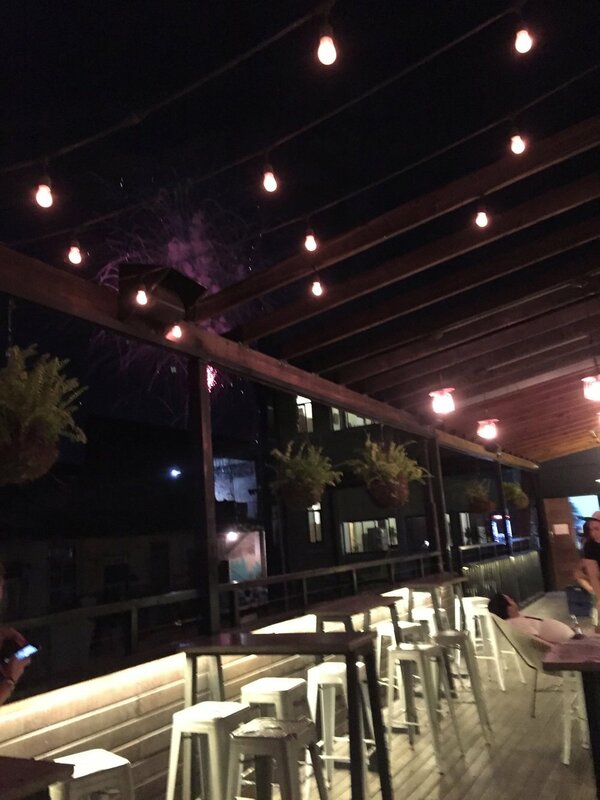 When I need a small getaway from school and know where I want to go, I want to quickly discover and book a room at my favorite Selina Hostels, so that I can party and unwind while socializing. When I need to find a place to stay while traveling and working remotely, I want to easily discover and book a room at an interesting hostel, so that I can both cowork and socialize in a desired setting. When I need to find a place to stay while traveling, I want to easily discover and book an room at a hostel with social scene and on a beach, so that I can make new friends and relax on the beach. Due to the fact that this was simply a scoping project with many limitations in terms of time and resources, I was tasked only with designing a few hi-fidelity screens for the onboarding process — note that there are some things in the flow that were out-of-scope. This is where things got complicated — being a generalist Product Designer and drawing from research and an understanding of the target audience, I proposed a simple onboarding experience along with splash screens that would best capture the unique value proposition of Selina Hostels. However, both the PM and client wanted something different and pushed for an AI conversational onboarding experience. After many days of whiteboarding, further research and discussions — I was finally able to convince the team that an onboarding experience of the sort would feel entirely foreign to the potential users based on the knowledge I’d gathered from informal user research, as well as the statistics and studies provided by Selina regarding their current clientele. This was the first time I was constantly working alongside a Product Manager and a client that contested many of my design decisions. It was an massive learning experience — especially because I was designing an application for users of various cultural backgrounds. Ultimately, this project taught me how to communicate clearly and effectively with stakeholders. Beyond the many lessons learned, I actually ended up staying in Panama for an additional week — not only because I fell in love with the country, but also because of the many wonderful people I met while conducting my casual user research. After our week of work (in Panama) was up, I moved into Luna's Castle for an extra week to truly interact with the travelers and locals. In the end, we were able to sign Selina Hostels as a client, and I'm looking forward to seeing the future of Selina Hostels as they grow and continue to expand.